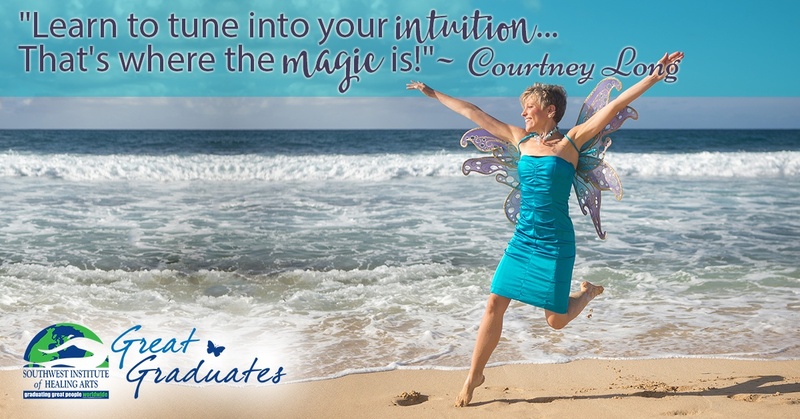 The Angel Whisperer: How Courtney Long Helps Others Connect with Guardian Angels, Fairies, and More! Courtney Long knew three things. First, that she had a big mission in life; second, that she wanted to help; and third, that she simply didn’t know how! As a child, she felt restless in the world, always sensing that her fine-tuned sensitivity, her desire for the solitude of the outdoors, and her “weirdness” made her different from the other kids in Lambertville, Michigan. Cherie Lee believes she was receiving divine messages about attending SWIHA. One day she was researching online when she noticed an ad for SWIHA flashing across each page she landed on. Later, when watching television, she saw another ad; she decided to take it as a sign and called admissions. 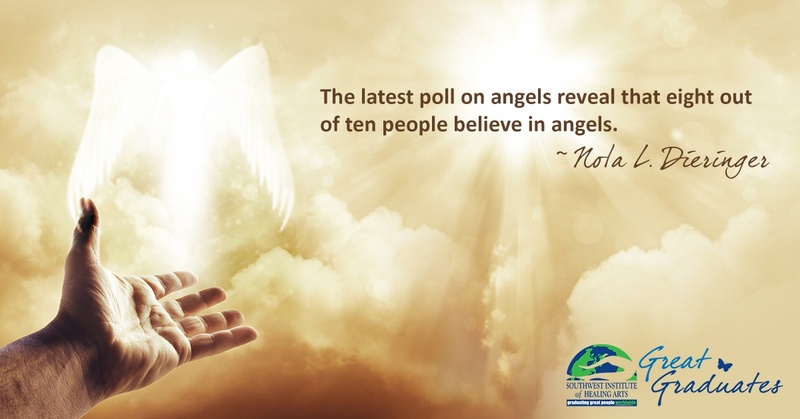 The latest poll on angels reveals that eight out of ten people believe in angels. I am a firm believer in these spiritual beings since I have had numerous encounters with God’s divine messengers. Nola shared her favorite story, involving her daughter, Nicole, who was two years old at the time of her first angel experience. Nicole was born with very fine hair which resulted in having a tangled mess on the back of her head every time she woke up in the morning. It was unbelievably challenging to a comb through that rat’s nest! The two have them had a nightly ritual which was giving Nicole a bath, followed by the reading of bedtime stories while sitting in their favorite, cozy rocking chair. On this particular night, Nola was reading aloud about God, Jesus, and the angels. She was explaining to her little girl that Jesus loves children so very much that when a baby is born, God assigns a guardian angel to watch over them. God cares so much about each of us that He even knows how many strands of hairs we have on our head. It suddenly occurred to me that this would be the perfect opportunity for Nicole to learn first-hand that God is real and so are His angels. So I stepped out in faith and I asked Nicole, “Would you like to wake up in the morning and not have a rat’s nest in your hair?” She nodded enthusiastically, yes. I said, “Okay, Nicole, let’s pray to Jesus then!” She gently closed her eyes and bent her head down as she placed her hands in prayer position.